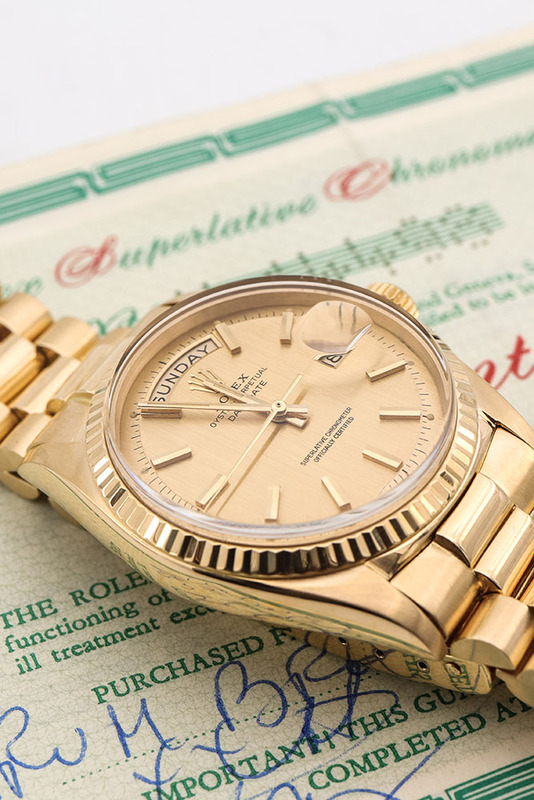 The Rolex Day-Date is the flagship-model of Rolex since the 1950s. 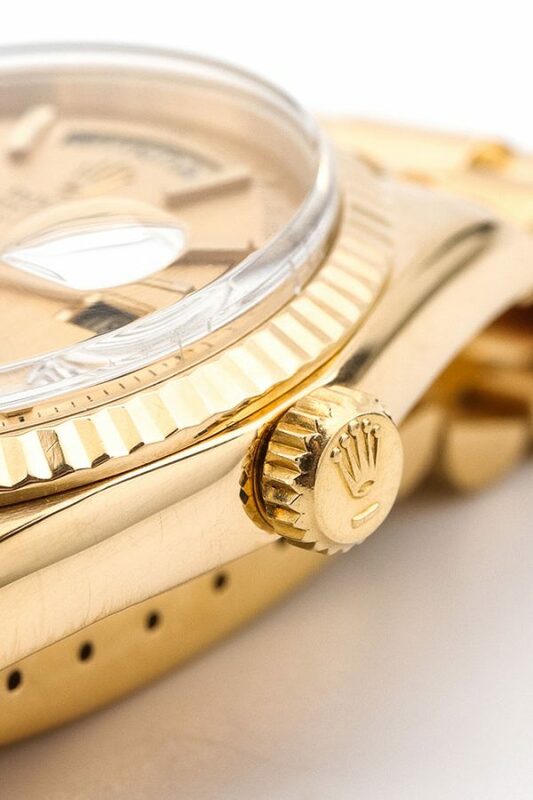 Only produced in 18k gold or platinum, the material of this Rolex watch is exquisite already. 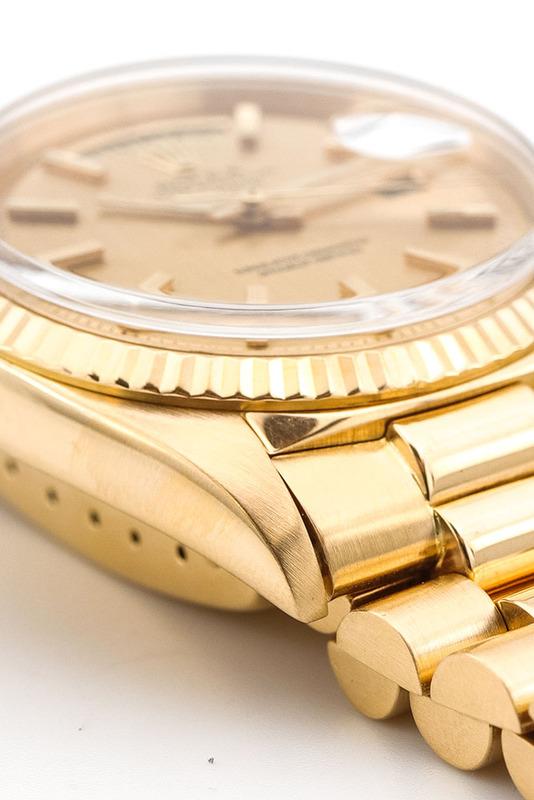 This watch is a very present item on your wrist. When wearing it on the gold presidential bracelet people will probably notice you’re doing well. Wearing it on a beautiful brown or green strap will make this watch more of an elegant dress watch. Now it is up to you to decide whether one of these options will suit you. 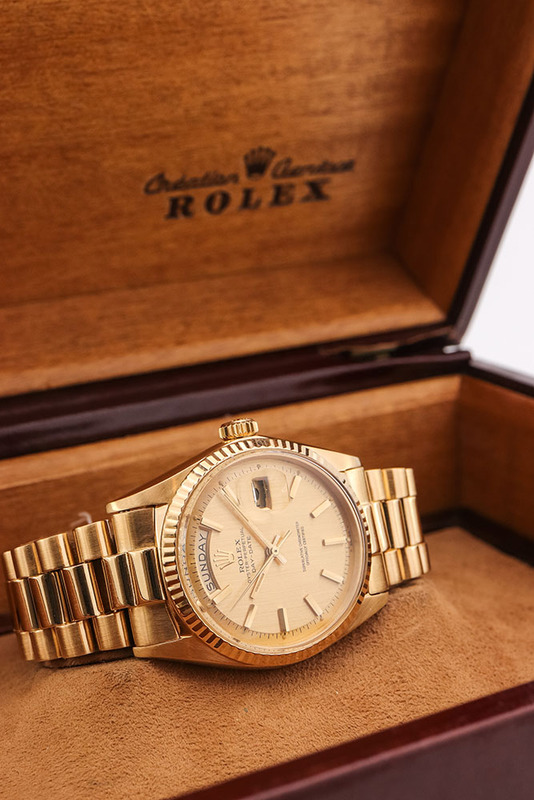 The original gold bracelet is in great shape, the middle links of the bracelet haven’t lost any of their glossiness over the years and there is very little stretch on the links. 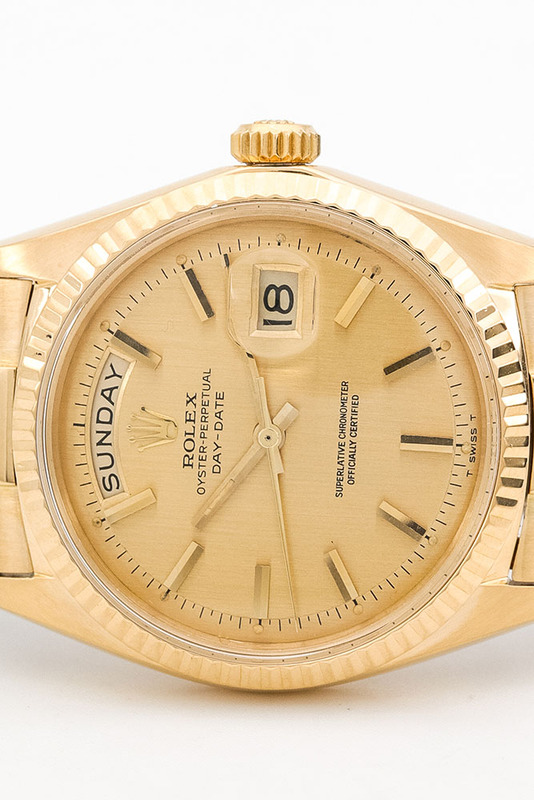 Having this original bracelet in this condition on a 1966 watch is a more than pleasant extra. 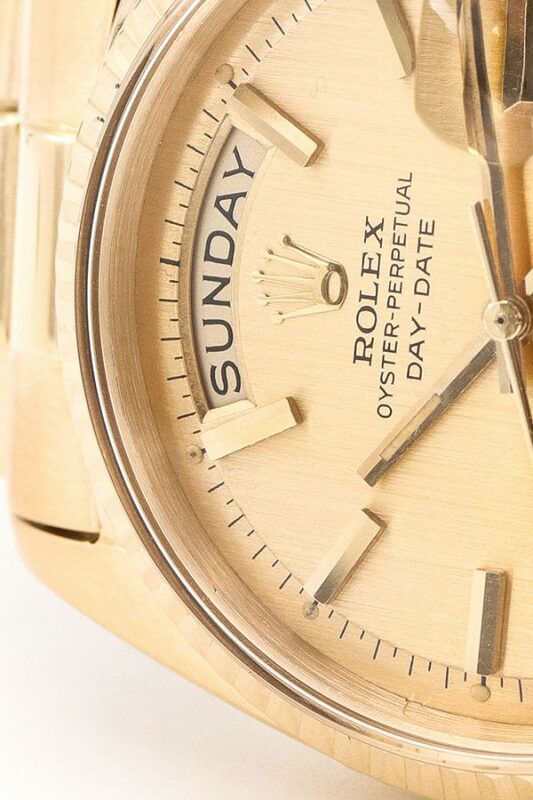 The pie-pan dial and plexiglass give a nice dimension to this watch. 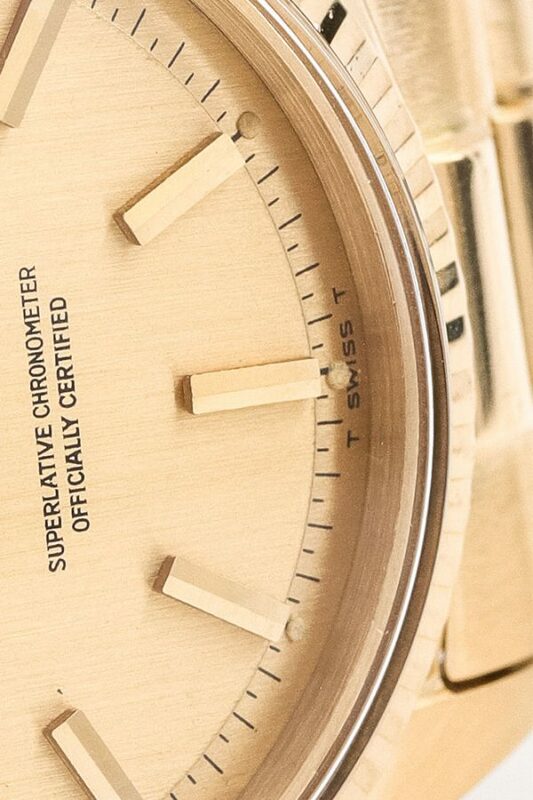 When looking at it you’ll notice this vintage Day-Date has more depth and character than a modern Day-Date. The champagne dial keeps the design calm and uniform. 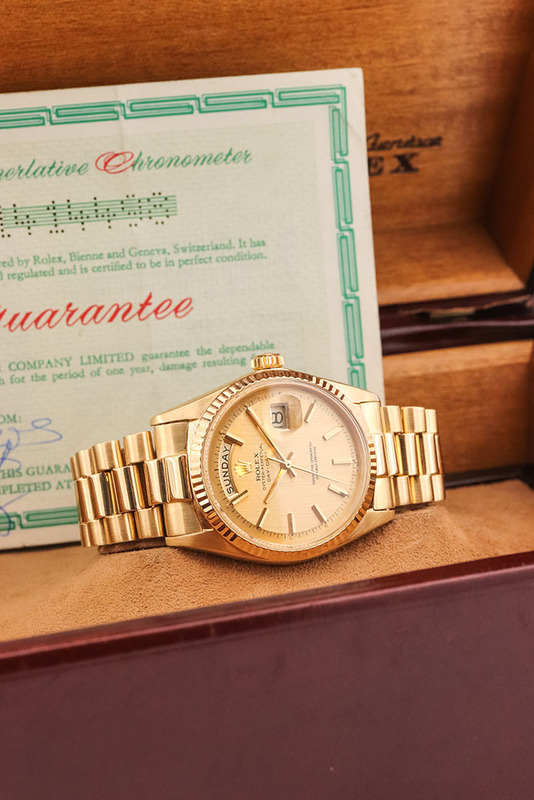 This set is completed by its original box and papers which is rare because almost all papers from the 1960s are lost. 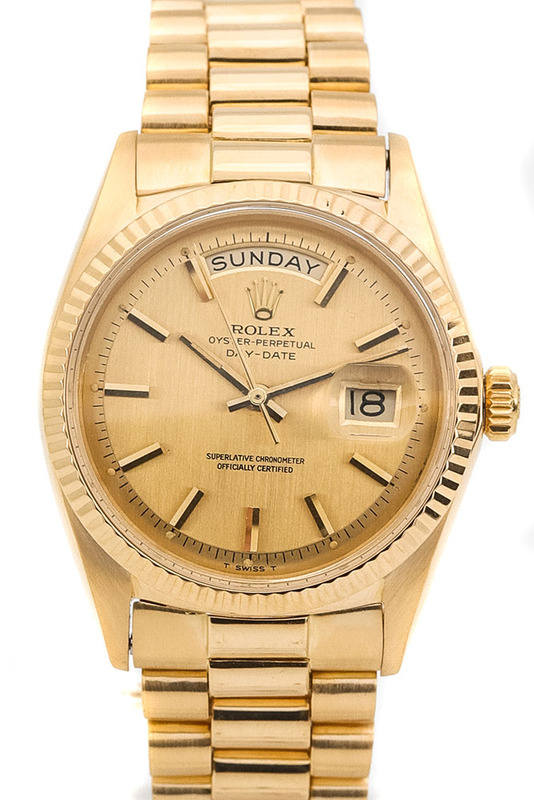 Visit our store to see whether this Day-Date is the right one for you, we have many Rolex Day-Date watches in stock and can tell you everything about them. We’re located in the 9-streets area, the Reestraat, Amsterdam to be precise.